What makes a speaker “High End”? At the moment, the press definition seems to be a price point over £20,000 a pair. 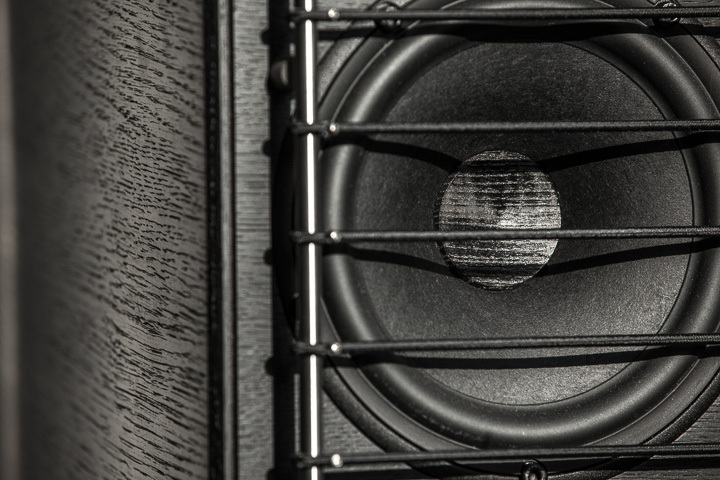 While there are many exceptionally good speakers coming in well under that lofty price it seems our expectations above that line are justly much higher. High End speakers must have an above reproach build quality as well as sound that truly goes beyond lower priced options. GamuT Audio offers four models in their RS line all at or above this high-end price point including the enthusiastically reviewed stand mount RS3’s (Hi-Fi+ issue 127) and three floor standing models starting with the subject of this review, the RS5i’s. The question is, will the RS5i’s be all that I need? Are they “High End”? According to the GamuT Audio website the RS5i’s are a two-and-a-half-way, impulse optimized, bass reflex floorstanding loudspeaker. However, unlike most wood box speakers, these beauties are formed from real wood, using 21 layers of ash and birch, 1mm and 2mm thick, hand made by master wood crafters at Kvist Industries in Denmark. These veneers are form-pressed into solid wood panels. The wood is an integral component of the instrument that is an RS5i speaker. Each cabinet requires a full week of construction time, following the exacting specifications from GamuT Audio. Woods are sourced from Kvist’s private forest land and are a sustainable managed resource. Internal wiring utilizes GamuT’s Reference cabling. Speaker terminals allow for single or Bi-Wired application. I prefer the Bi‑wiring for best sonic results. Bananas are recommended, but 20mm spades and bare wire will also suffice. The entire cabinet is placed on a massive base with layers of Stainless steel and a specialised composite damping material featuring four easily adjustable spikes to fully decouple the speakers from the floor as well as make fine adjustments to level or tilt the speakers as needed for perfect setup. Drivers are sourced locally from Scanspeak. However, as with the cabinets, these are not off the shelf products but highly specialised designs following GamuT’s exacting requirements. The 178mm woofer covers frequencies from 550Hz and below, and features a wood dust cap, which is glued directly to the voice coil for, “optimal impulse behavior over the full frequency range.” Woofer from Scanspeak, wooden dust cap from Kvist, and assembled at GamuT... it is a truly custom design. The 178mm mid-woofer covering 550Hz to 2550Hz is a paper driver that when received by GamuT, is treated to a proprietary blend of bespoke oils to lubricate the paper fibres. This treatment results in an over 60% reduction in distortion compared with untreated dry paper fibres. Finally, the ring radiating tweeter covers frequencies from 2550Hz to 60kHz. Again, the driver is sourced at Scanspeak to GamuT’s specifications. The Ring Radiator is matched to the cone drivers perfectly allowing the seamless single driver like performance that enhances the soundstage and imaging for which GamuT Audio loudspeakers are renowned. Arriving on a pallet weighing in at over 200kg, GamuT put a lot of thought into ease of setup. Each speaker is encased in its own wheeled cabinet making them easy to move generally into place. Removing them was a snap with the cases assisting in moving them into an upright position. I placed them in the same location as my Vandersteen Treo CT’s and connected them to the PS Audio BHK300 Mono’s with the supplied GamuT Reference bi-wired speaker cables. GamuT recommends 300 hours of break in so it was a few weeks of casual listening that ensued. During the first few days it was apparent these were very special speakers. I was noticing detail particularly at the top end that I had not noticed before. Imaging was spot on and as time went by the bass became tight, deep, and highly accurate. Visually, the RS5i’s were striking in their raked back cabinet design and finished in glorious Ruby.